Born in Montreal in 1936, Roger Tonkin studied at the University of Toronto before receiving his medical degree from McGill. 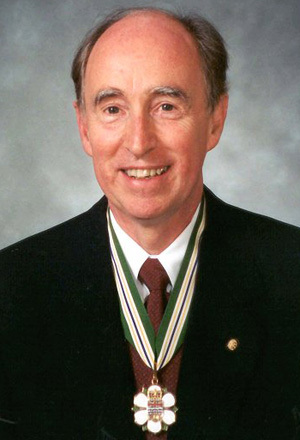 He joined UBC’s Department of Pediatrics in 1968. His interests lie in adolescent medicine and eating disorders, where he is an internationally recognized health visionary in standards of practice, curriculum development, and research. His treatment of eating disorders is practiced worldwide. Since 1977, he has served as executive director of the McCreary Centre Society, a non-profit agency concerned with the health of young people in British Columbia. He conceived, built, and ran Camp Elsewhere on Gabriola Island, a refuge for kids with eating problems. In 1981, Tonkin developed the Youth Clinic at B.C.’s Children’s Hospital. Since 1994, he has served as president of the International Association for Adolescent Health. Though retired and living on Gabriola Island, his work continues.